- using the Advanced Search tool to search for a card across all projects and boards. - using the Board Filter to search for a card in the board that is currently opened. Type a keyword or a card ID in the Advanced Search field (the magnifying glass) at the top side of your board interface (2) -> press the Enter key to run the search. The search runs through all projects and boards you are assigned to and gives you a list with the matching results in your account. To locate a card on a board that is currently opened, please use the Board filter feature. 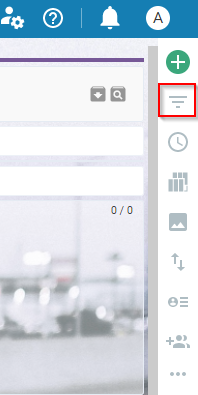 You can access the feature from the sidebar to the right of your board interface. Important: This filter is applied per board. This Board filter allows you to filter your cards by: ID; assignee; title (keyword) or a tag (img.1). Just enter any of the criteria -> the filter will be applied to the board that is currently open and only the cards with matching results will be displayed. Use the Reset button on the top right side of the board to restore the default board view. For more information, please, check the dedicated article for the Board filter.